Here I have some great news for Snoopy fans! An officially licensed, Japanese style Peanuts-themed cafe named “Snoopy Chaya (=teahouse)” will be opening in Yufuin (Oita, Kyushu) on April 19. Snoopy Chaya will be serving up matcha sweets such as matcha Swiss roll cakes, matcha parfait, matcha soft serve cones, matcha tapioca drink, and as well as other Snoopy-related specialty merchandise. 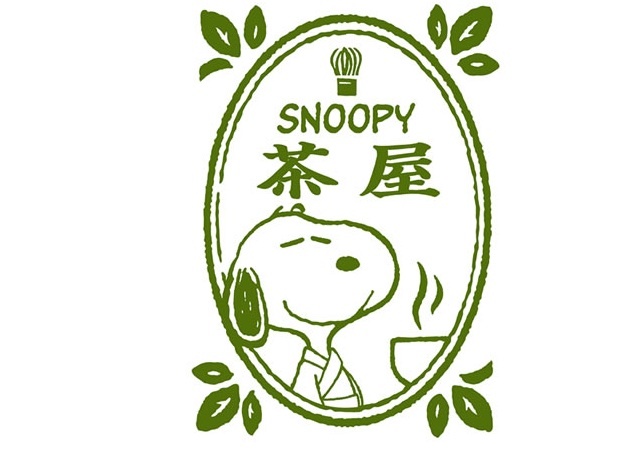 The logo design of the cafe (–>see the picture above) is drawn in “matcha green” and features Snoopy in a master of tea ceremony style kimono with a tea whisk. Super kawaii, isn’t it! ?